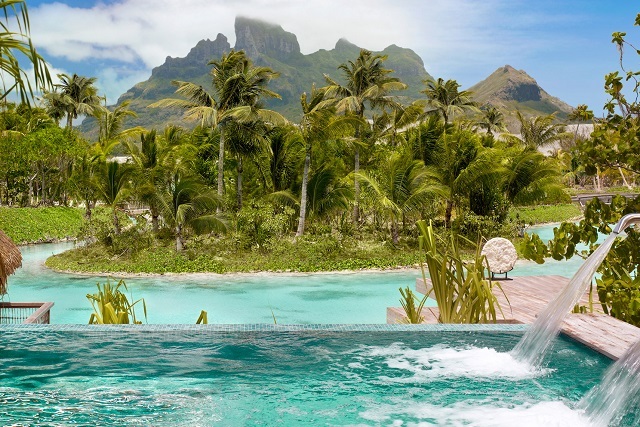 The following upgrades are subject to availability at the time of booking. 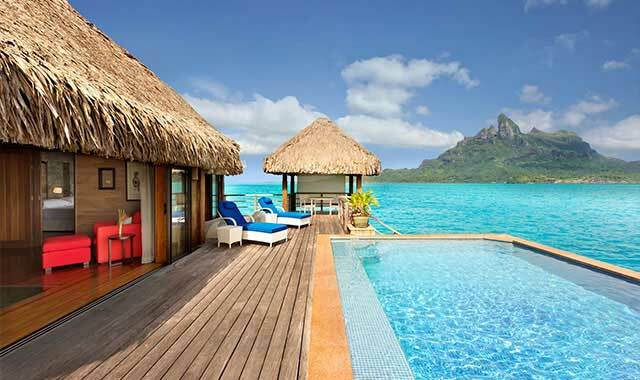 The price of the upgrade is calculated per person, and for the entire stay. 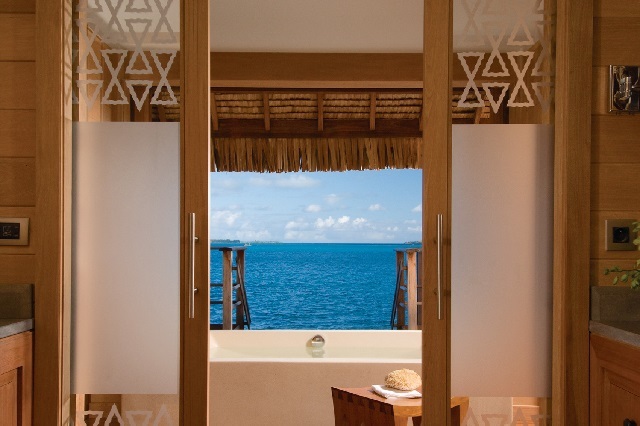 Lagoon View Overwater Bungalows have the same layout and appointments as the 1 Bedroom Beach View Overwater Bungalows and feature unobstructed views of the surrounding pristine lagoons. 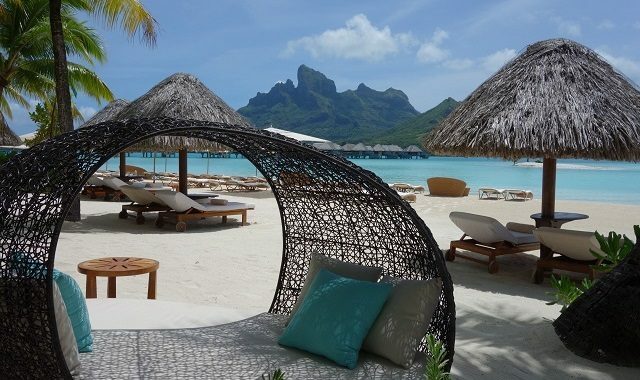 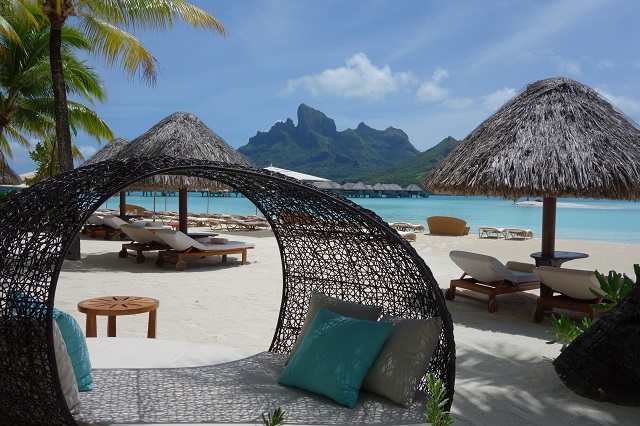 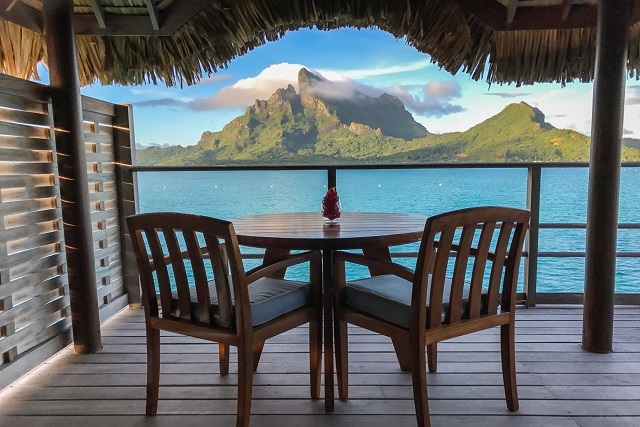 Mountain View Overwater Bungalows share the layout and luxury of the 1 Bedroom Beach View Overwater Bungalows and also feature majestic views of Mount Otemanu and the island of Bora Bora. 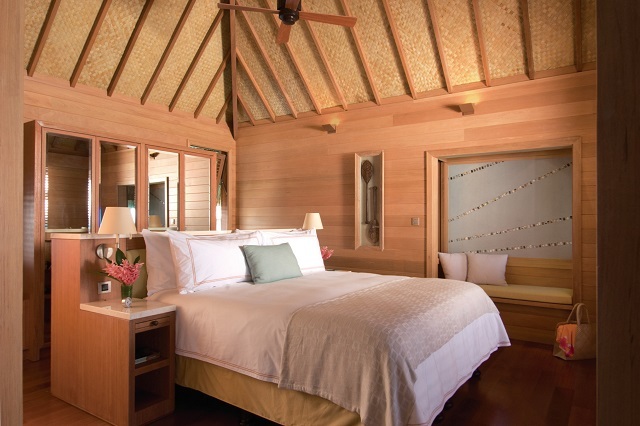 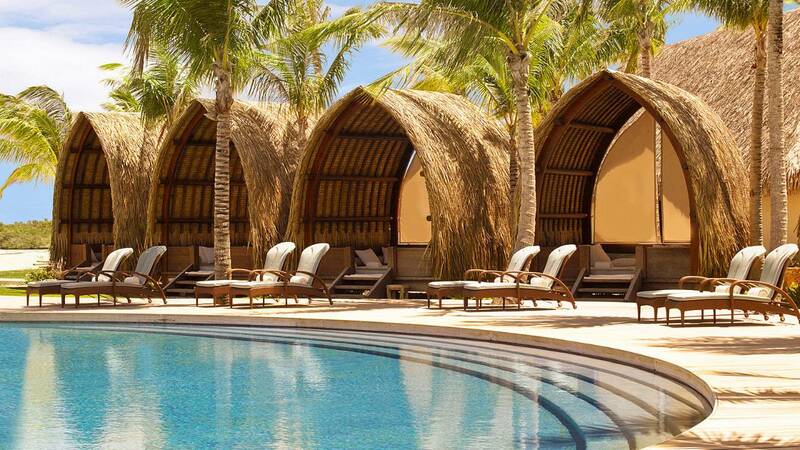 These bungalows offer an additional amenity of a private plunge pool on the deck. 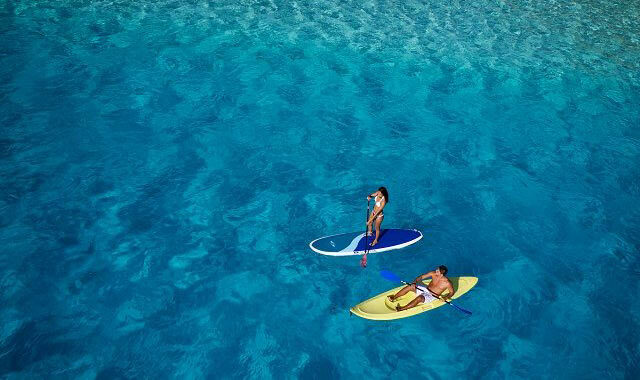 One of the best ways to explore this island is by water! 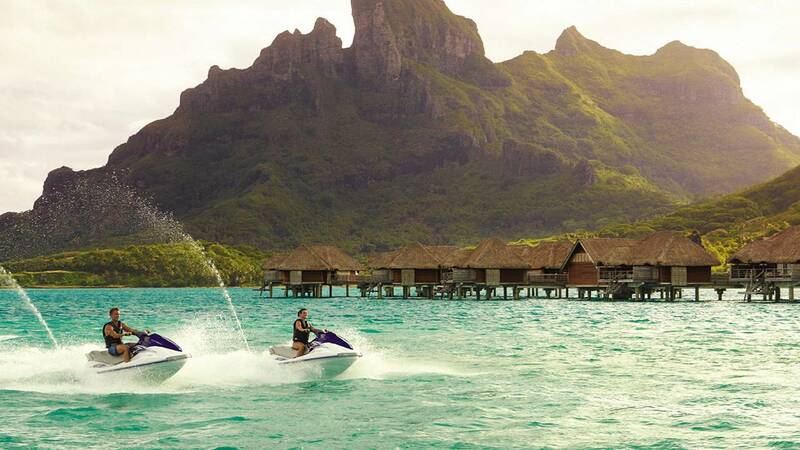 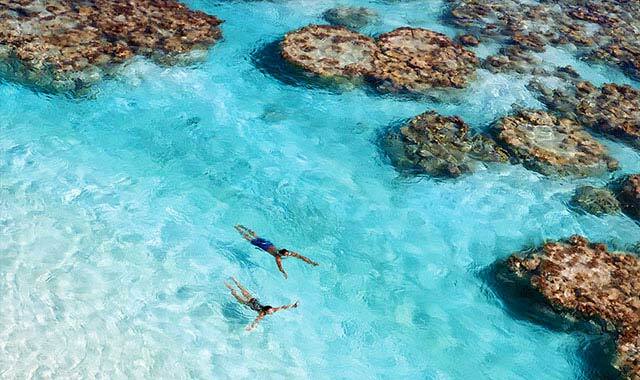 There are so many amazing Bora Bora water excursions available it’s difficult to choose just one. 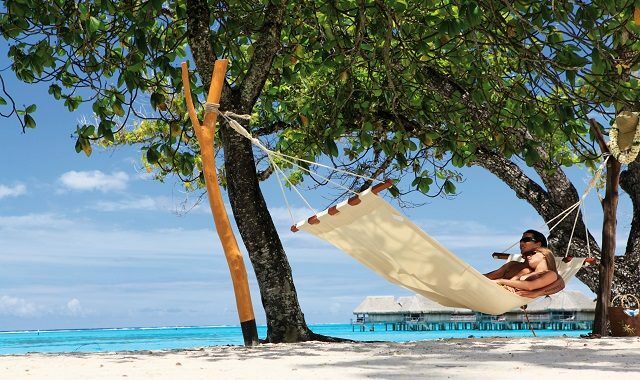 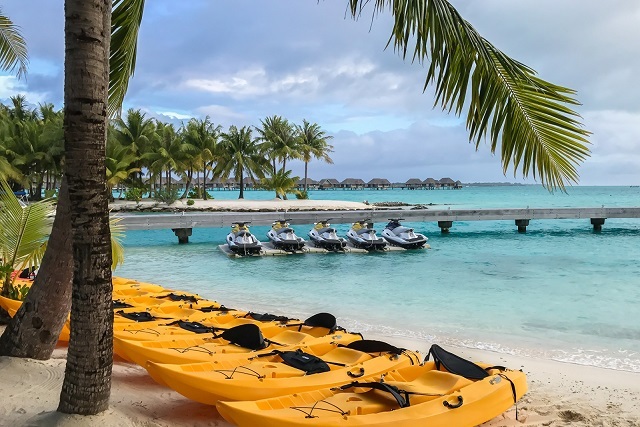 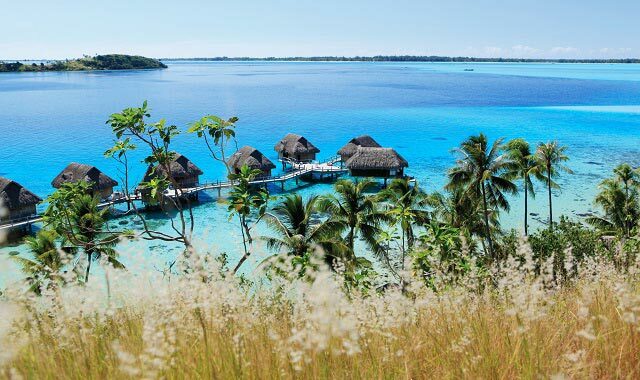 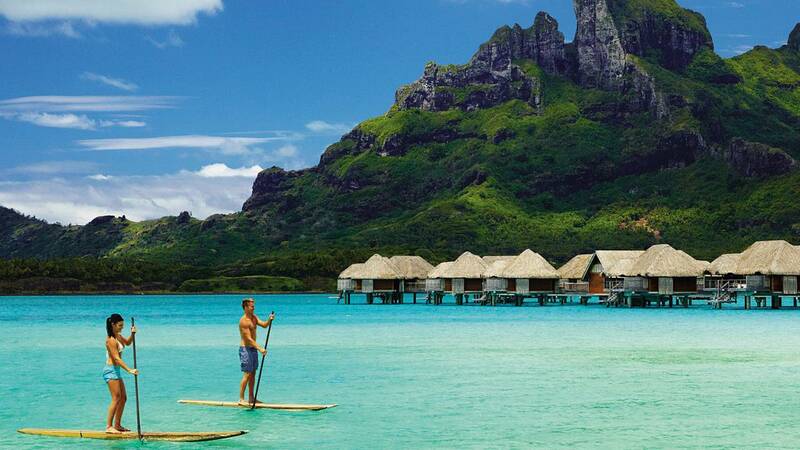 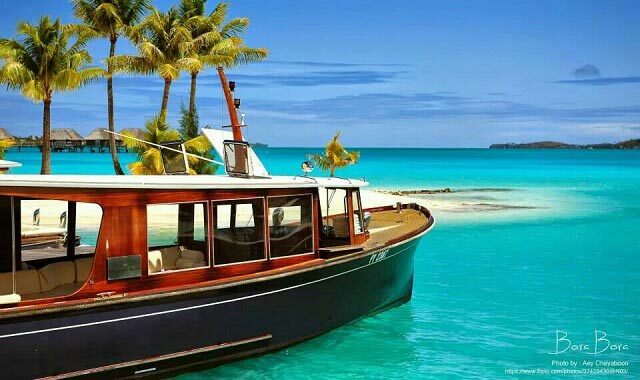 There are also a number of land-based Bora Bora tours available for exploring different aspects of the island that are equally as beautiful as its lagoon. 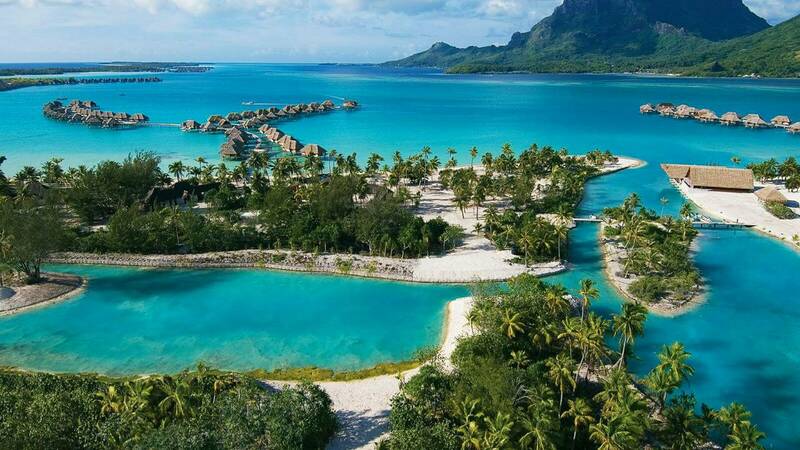 Ultimate Shark and Ray Watching (Full Day with Motu Lunch) – Included in Package! 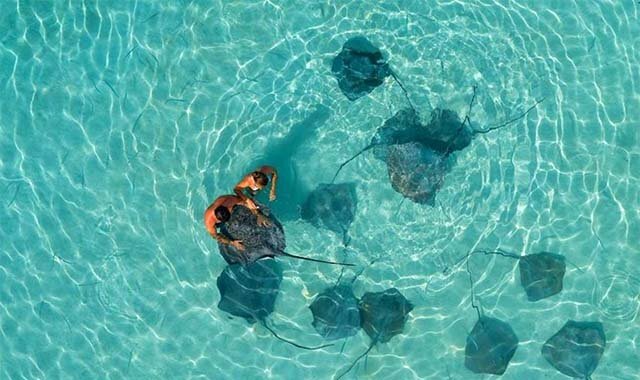 Embark in a small group on a motorized outrigger boat to meet colorful fish, curious stingrays, and friendly sharks. 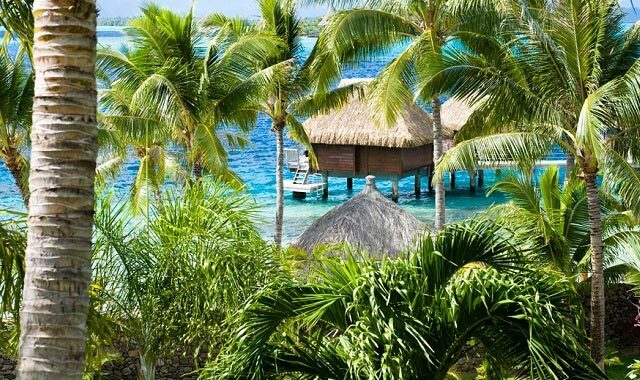 It is to the sound of a ukulele that your Polynesian guide will lead you to a motu where a tasty Tahitian meal of typical dishes is prepared for you. 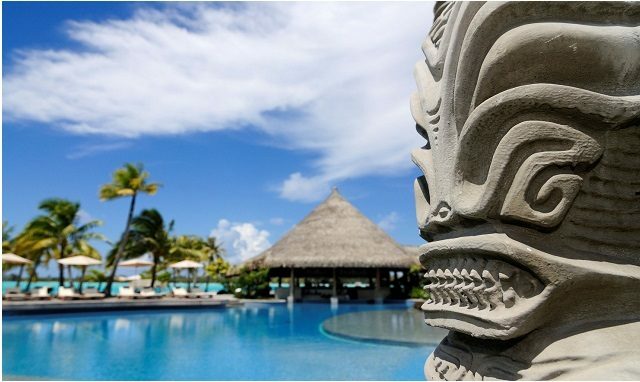 Sit at one of the large common tables and enjoy local entertainment while sipping a cool drink. 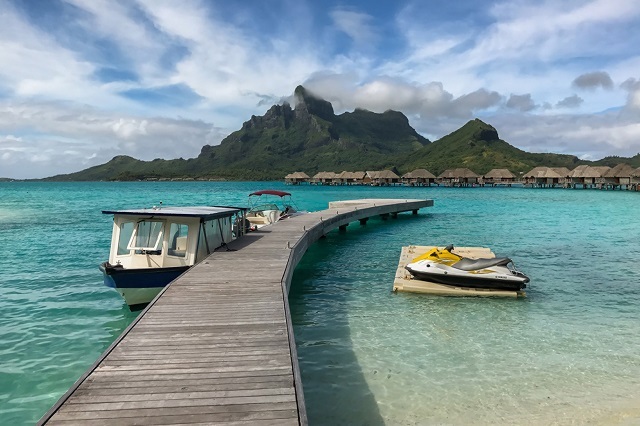 Discover the local fauna of tropical fish, stingrays, black tipped sharks, and all the treasures of the Bora Bora lagoon. 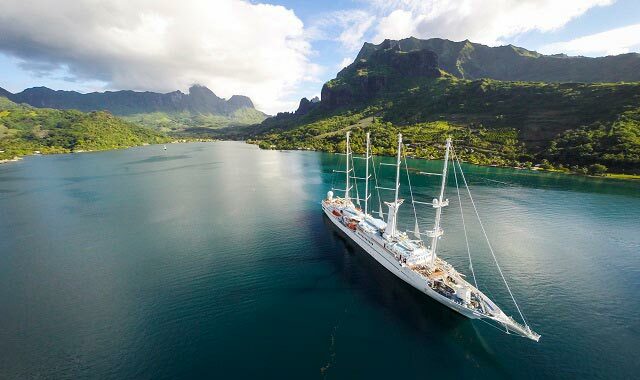 Then enjoy a Polynesian barbecue lunch on a beautiful motu while savoring the most amazing view of Mount Otemanu! 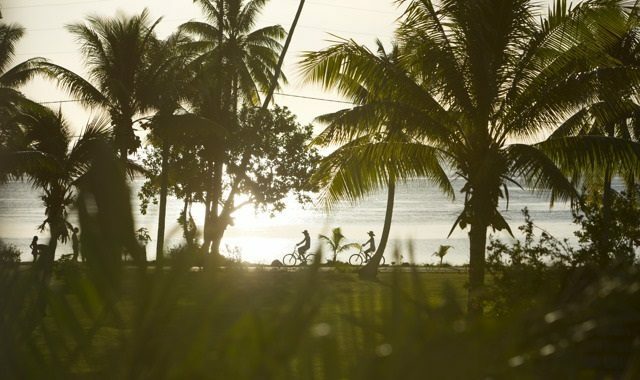 Relax in the afternoon and enjoy the area as well as local entertainments before returning to your hotel. 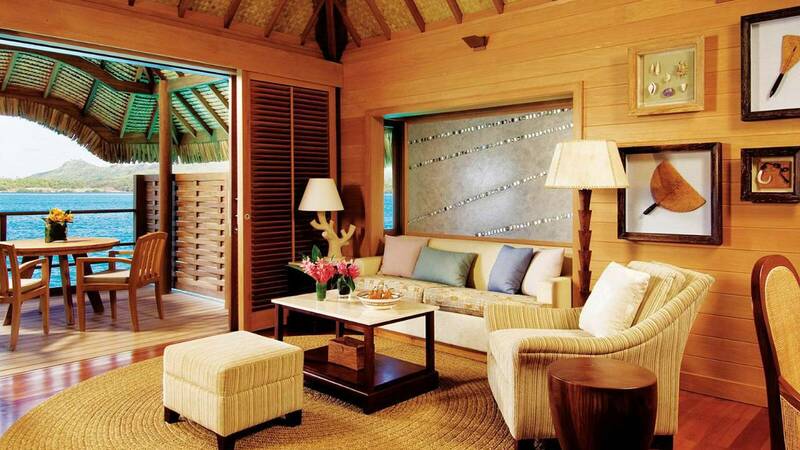 Sparkling wine and little surprises await you at the end of tour. 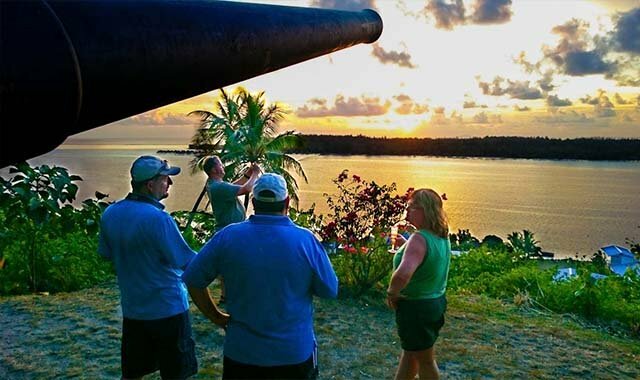 This tour focuses on the culture and history of the island, visiting local archeological sites. 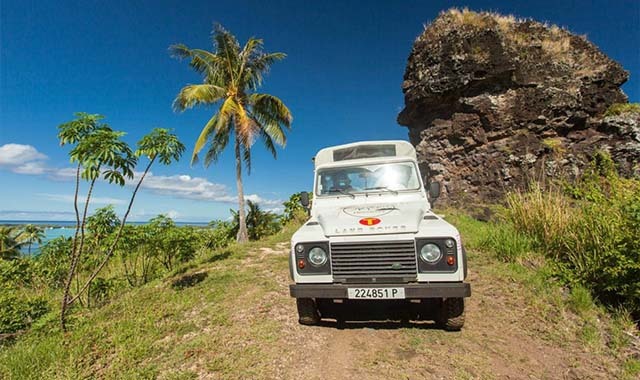 The tour continues with a stop at Mama Ruta’s for a pareo dying demonstration and samples of fresh local fruits. 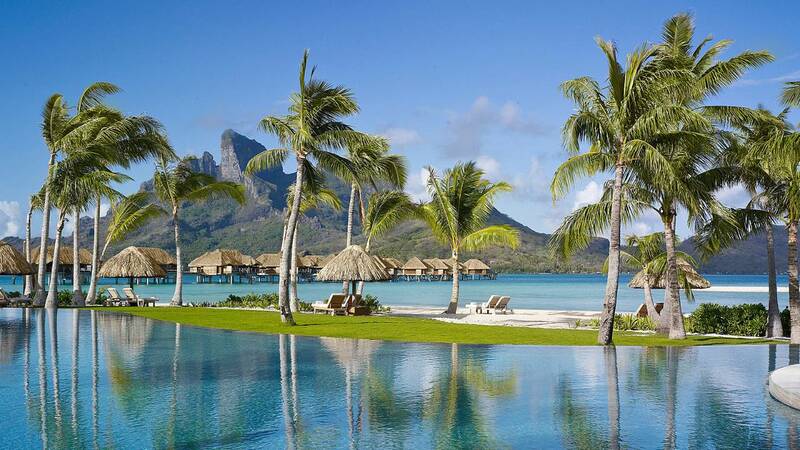 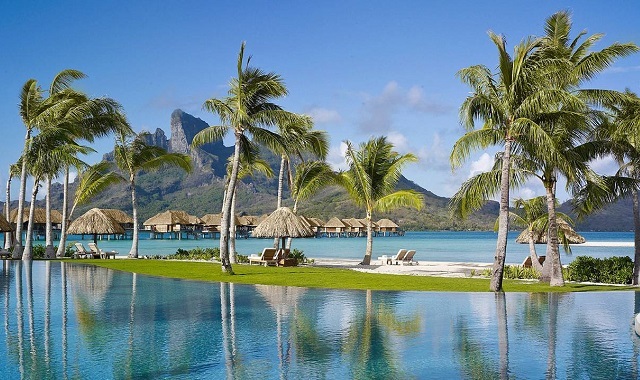 Go on a trip around Bora Bora in a 4×4 and take in incredible views of the stunning turquoise lagoon. 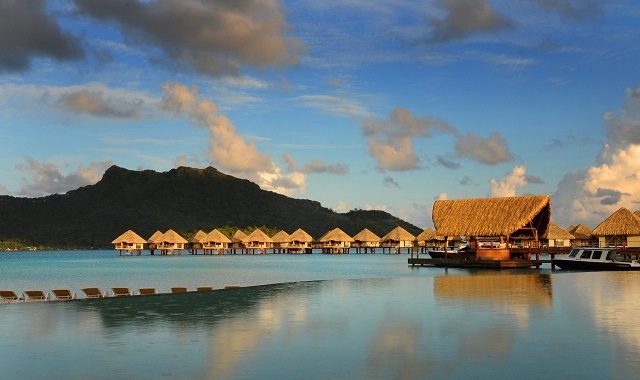 You will learn about Polynesian culture, history, and legends while stopping at Bora Bora’s main viewpoints. 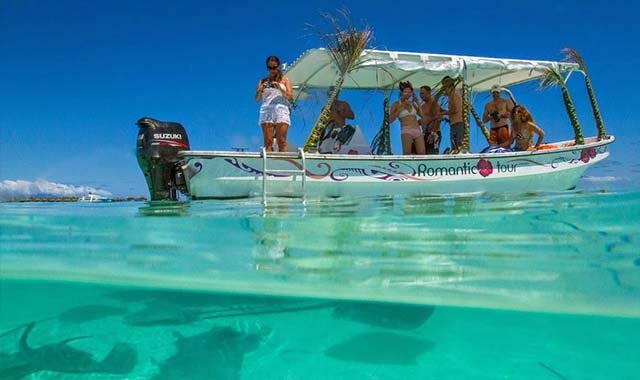 The guide will discuss the island’s culture and history before serving you a glass of Champagne to sip in the sunset.